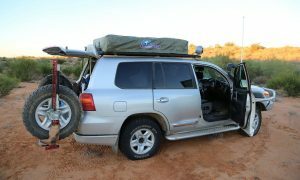 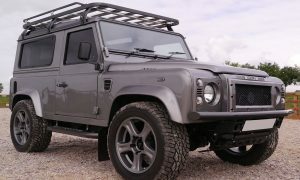 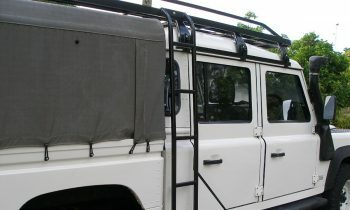 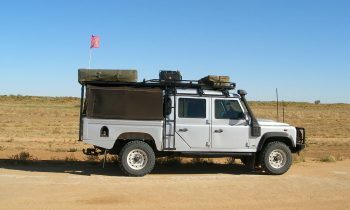 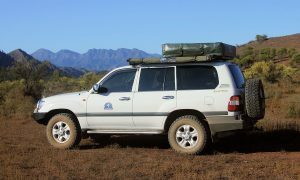 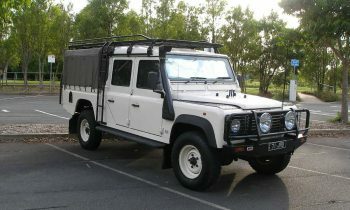 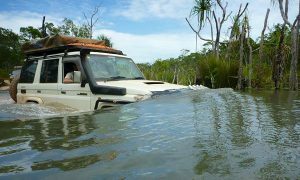 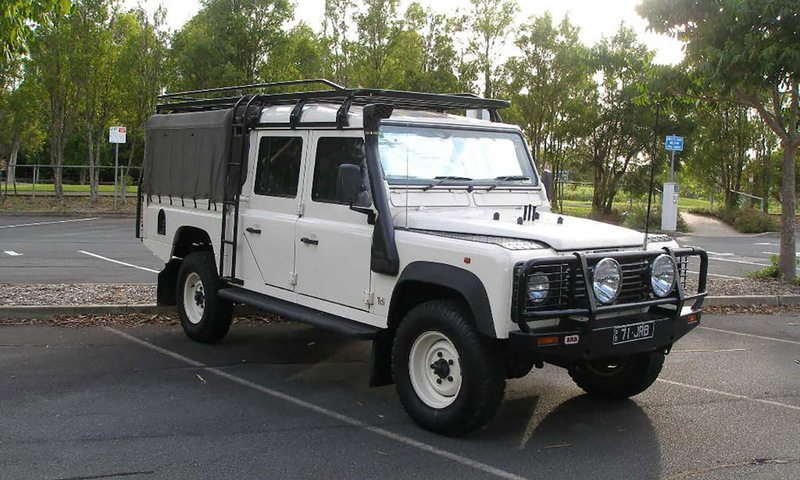 Hannibal Safari roof rack for 130 Series Land Rover Defender. 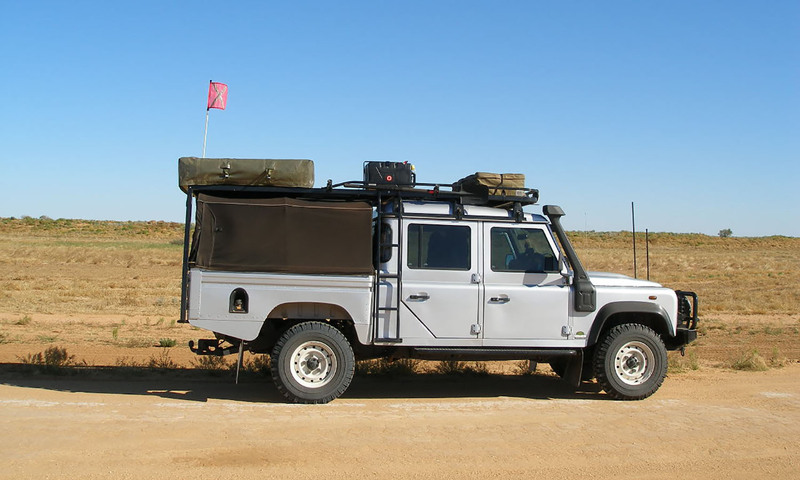 Dimensions are 3.5m long x 1.41m wide (full length) or 1.6m long x 1.41m wide (crew cab). This product can be purchased with or without a top rail, and the full length variant can be optioned with a side ladder can be added for easy access to the roof.